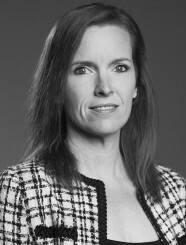 Amie Fletcher is a Senior Valuation Manager within the Valuation Department in Dallas, Texas. Ms. Fletcher has been employed with Generational Equity since August 2006. Ms. Fletcher was previously employed with Child Protective Services for five years and was a Communications Officer at the University of North Texas for two years. Ms. Fletcher received a Bachelor of Arts degree at East Central University in Ada, Oklahoma in 2000 and Masters of Business Administration at the University of North Texas in Denton, Texas in 2006.